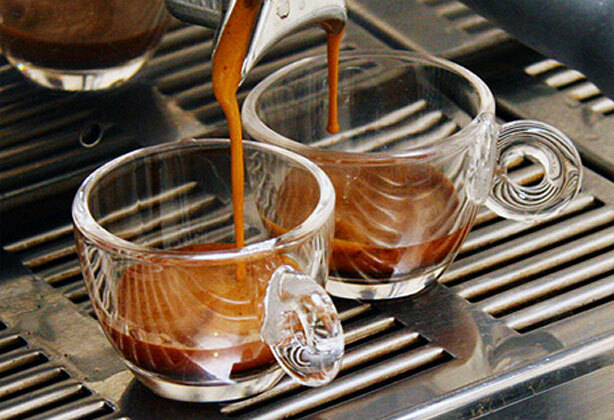 #Espresso , my sleeping pill ? One of those unusual past 10 pm nights when I was all geared up to watch an interesting and most recommended movie with my significant other ! Ha ha , unusual as in I dont relish watching movies on the small screen. But something was overtaking me as I tucked my feet up in my favourite sofa. Yes , I got a hint of it and walked to my kitchen to make myself an espresso shot , my past experience not holding. The aroma of the coffee filled my small kitchen and my olfactory senses told me I was in for a bit of that wonderful coffee luxury. Ten minutes after I had emptied my cup , ” that something overtaking me feeling ” did its job well ! I gave up , walked to my bedroom with a “sorry” hug to my significant other and fell into dreamworld in no time. A few months ago , after an interesting evening of lovely conversations with a coffee addict friend , we both had shots of #Espresso and was warned by the friend since I ordered a double shot. We decided to see who would stay awake for how long and got home. It took me exactly twenty minutes after i reached home and change to fall asleep and I messaged a sleepy goodnight to my friend ! So is my thought line ( lane ) controlling the power of coffee ? Has it happened to others too ? Googling such behaviour didnt help find an answer. Just curious ( not worried , a double whammy to savour that magic potion and yet embrace sweet sleep ) , so share your views. Congratulations on a good start ! Specifically the way you have created a story line around your choices makes it interesting.